A light, airy, crispy waffle is one of my most favorite breakfasts. Waffles are a fun breakfast that I love preparing for company and holidays. 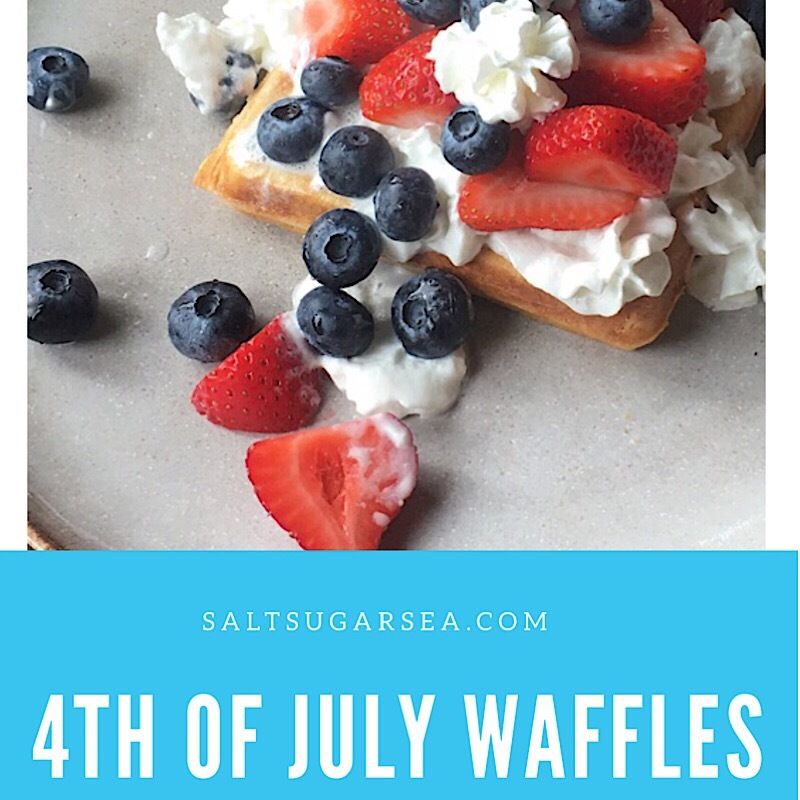 These 4th of July Belgian Vanilla Waffles are the perfect treat for this week’s 4th of July celebration! With the fragrant deliciousness of pure vanilla, and natural sweetness of fresh berries, you will find yourself going for a second helping. Should left overs occur, 4th of July Belgian Vanilla Waffles freeze quite well. Simply allow them to cool completely, and then freeze in a ziplock or sealed container. Recipe adapted from The Kitchn’s How to Make the Lightest, Crispiest Waffles tutorial and recipe. I doubled the recipe, swapped the fat for cococnut oil and tweaked a few things. None-the-less we ended up with an amazing light and crispy waffle. Whisking the egg whites separately makes a huge difference. Make sure to check out their post! Enjoy waffles immediately, or keep warm in the oven on 200 degrees, until they are ready to be served. 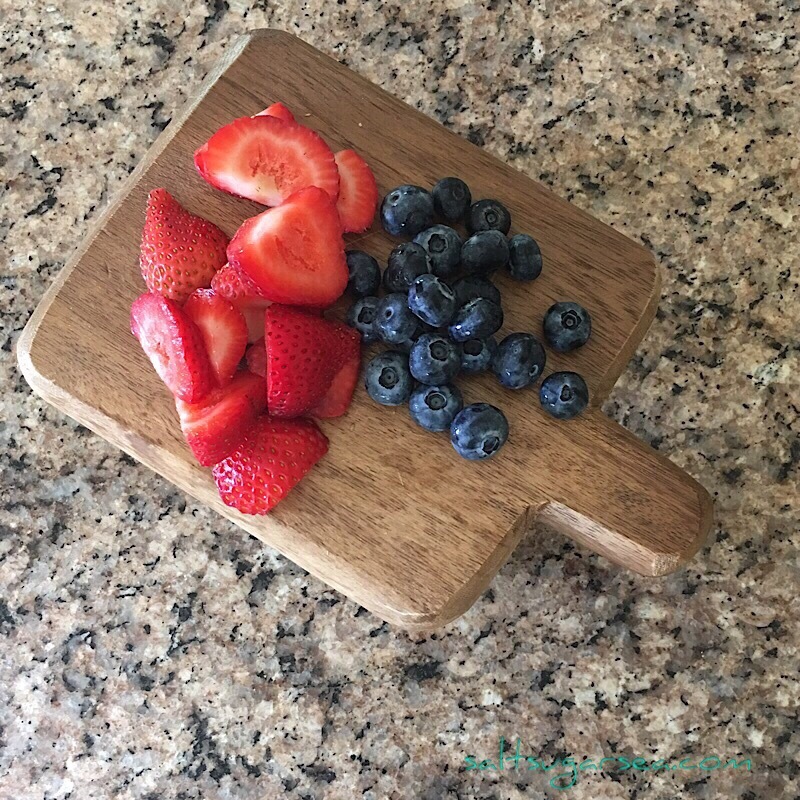 Serve with fresh sliced strawberries, blueberries and whipped cream. Here’s 3 easy ways to make fresh whipped cream. 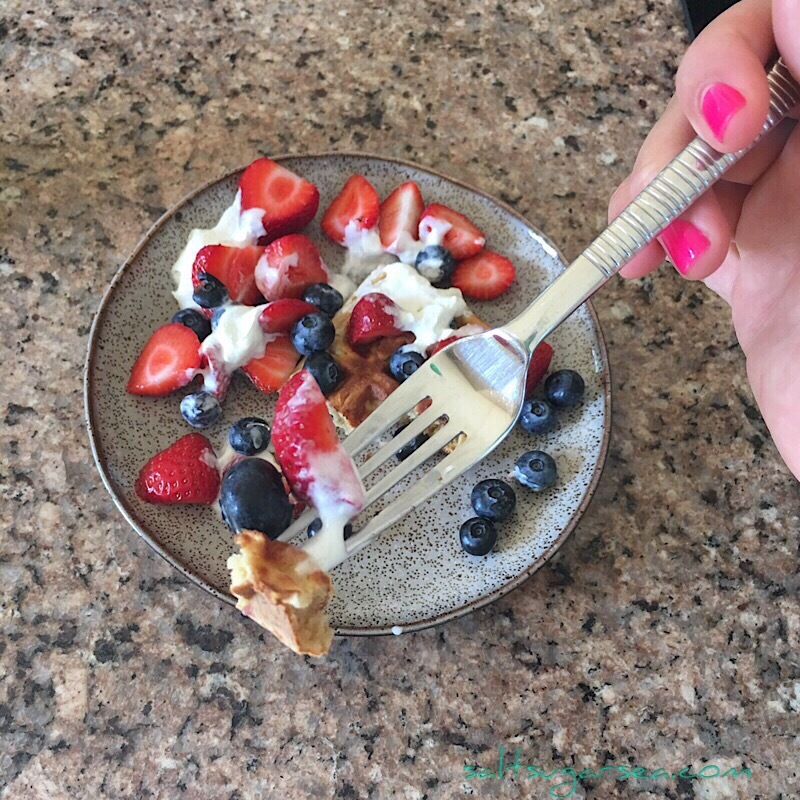 Happy 4th of July Belgian Vanilla Waffles!! What are your favorite 4th of July recipes? Share with us in the comments! These look delicious! I don’t have a Belgian waffle maker though, would any waffle maker be ok? Hi Alyssa, I do prefer a Belgian waffle maker for these, but any waffle maker will do. Hope you like them!